Thousands head for Buccoo on the Tuesday after Easter for the Goat & Crab Race Festival. Goat racing, an indigenous sport, has been practised here since 1925 and the animals are trained for at least two months before race day. Goat handlers are called jockeys and they have to be fit – goats have been known to outrun their jockeys. Crabs don’t take to training easily. Crab catchers do the hard work of rounding them up and then anyone can sign up for the race. You get your own crab, tied to a piece of string, and it’s your job to coax a winning performance out of it. The festival coincides with the annual village harvest, so there’s usually plenty to see and to eat. Only one tour operator offers off-road safaris: Fabrizio ‘Fab’ Ceppi, who runs Tobago Now Tourism, started his 4×4 trips in 2005 and has steadily added to his fleet of customised vehicles to meet demand. 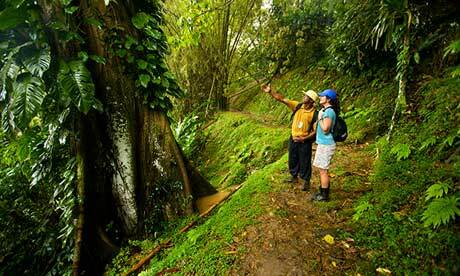 The average six-hour tour takes you well off the beaten track, past small freehold farms, where bananas, mangoes, avocadoes and cocoa are grown, and into the Main Ridge Forest Reserve. Stops include the Highland Waterfall and the Hillsborough Dam. 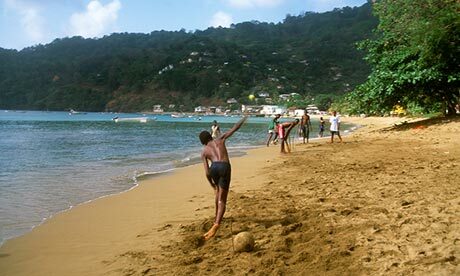 Cricket is as popular in Tobago as it is elsewhere in the Caribbean. Local teams can often be seen on village greens, practising or playing inter-village fete matches. If you know how to play and there’s a practice match taking place, teams may be happy to give you a place in the field. You may even find a pick-up game on the beach – or you could join the party on the sidelines. At some fete matches, DJs are hired to play between team changes and to signal a batman’s walk back to the pavilion with an appropriate selection. 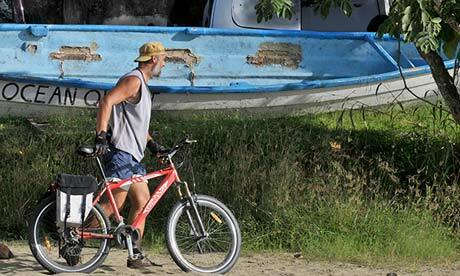 Tiny Tobago covers just 300 square kilometres, yet there is surprising diversity in its terrain – and that’s why the island is considered a great place for mountain biking. Trails wind along the Main Ridge Forest Reserve, through old cocoa estates and into mangrove forests – and just about every one ends at a spectacular beach or a refreshing waterfall. 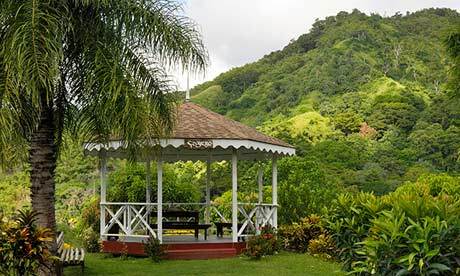 Two leading outfits, Mountain Biking Tobago and Slow Leak Tours, both run by passionate riders, hire bikes and devise tours to suit all skill levels. 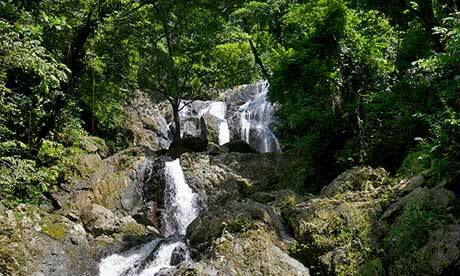 Tobago’s highest waterfalls are to the east: just outside of Roxborough, the spectacular Argyle Waterfall drops 54 metres in a series of cascades. Happily, it is not difficult to reach – and there are guides on site to lead you along a short trail to the base, where you can shower in the spray or cool off with a swim in the deep pool. A little further west, Craig Hall Waterfall near Mason Hall is easy to get to, although no swimming is allowed here. Across the other side of the island, the Highland Waterfall at Moriah is becoming increasingly popular, despite being difficult to find – it is nestled deep in the rainforest. You may almost feel overwhelmed by the dense greenery and heady smell of fermenting cocoa as you stroll the trails of the Tobago Cocoa Estate, where large red and yellow cocoa pods hang from trees like oversize Christmas decorations. Cocoa was once king in Trinidad and Tobago, but crop disease and Hurricane Flora stopped its cultivation in the 1960s. Then, in 2004, chocolate artisan Duane Dove – who grew up on the island – started to replant: he now runs Tobago’s only functioning cocoa estate. Set in Roxborough, in the east of the island, the estate is also a heritage park, where you learn about the history of cocoa and see how the bean is processed. 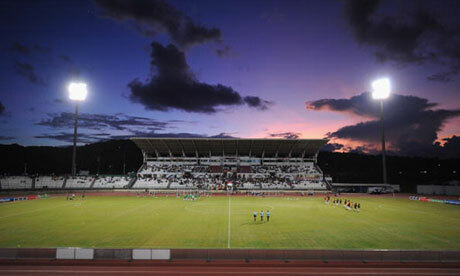 Football is the most popular sport in Tobago and at Bacolet, near Scarborough, there is a stadium named after local boy and former Manchester United player Dwight Yorke. It was built for the 2001 FIFA Under-17 World Championship and, with a capacity of 7,500, local league and national matches are now played here. There is plenty of football action elsewhere: you’ll see football being played in the streets, in fields and on the beach, where it isn’t simply a spectator sport – you can play, too. Veronika and Lennon La Fortune established Being with Horses in 2008, and, with five horses, provide riding suitable for beginners as well as the more experienced. 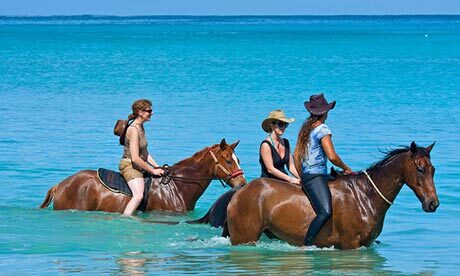 Rides take in the western coastline overlooking Nylon Pool and Buccoo Reef, and go through mangroves and wetlands – you can even have a swim with the horses. Time your trip just right and you’ll be at Buccoo Bay at sunset. The stables offer western and English saddles. A band of tropical rainforest, the Main Ridge is Tobago’s backbone and runs lengthways across two thirds of the island. The highest point is 550m Pigeon Peak, at the north end. Established as a reserve in 1776, Main Ridge is the oldest legally protected forest in the western hemisphere. Much of it remains untouched but for a few hiking trails, the most established of which is the Gilpin Trace trail whose the entrance is marked just off the Roxborough-Bloody Bay Road. It is a downhill trek, past a small waterfall, to Bloody Bay. 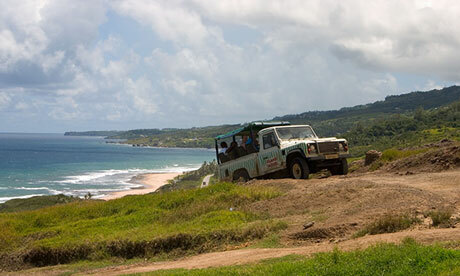 Tobago offers two championship-quality, 18-hole golf courses. On the north coast, coconut trees line the fairways at Mount Irvine Bay Golf Course and the 9th hole is a special treat, with views of Buccoo Point and Buccoo Reef. 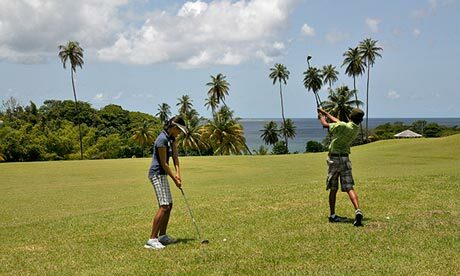 On the south coast, Tobago Plantations golf course offers panoramic views of the capital, Scarborough. The course is dotted with lakes and runs for two and a half miles along the beach front.